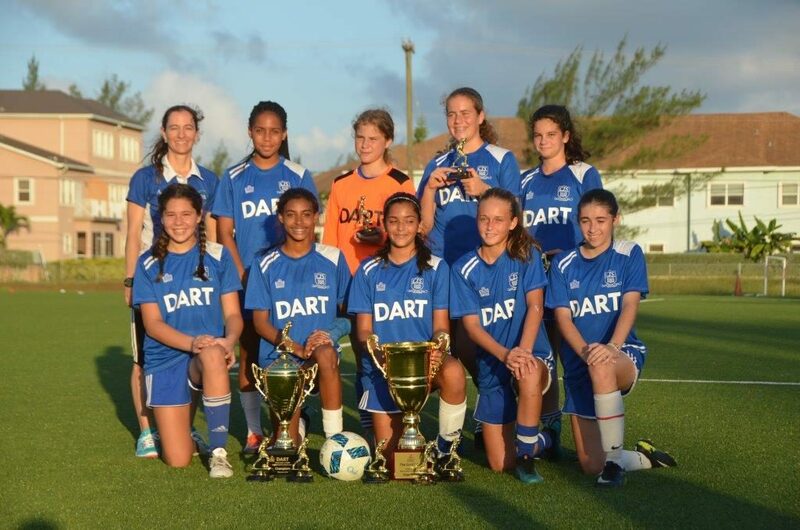 Cayman International School Blue (in blue) claimed their second successive Dart Under 14 girl’s championship. Photo and story by Neil Murray. 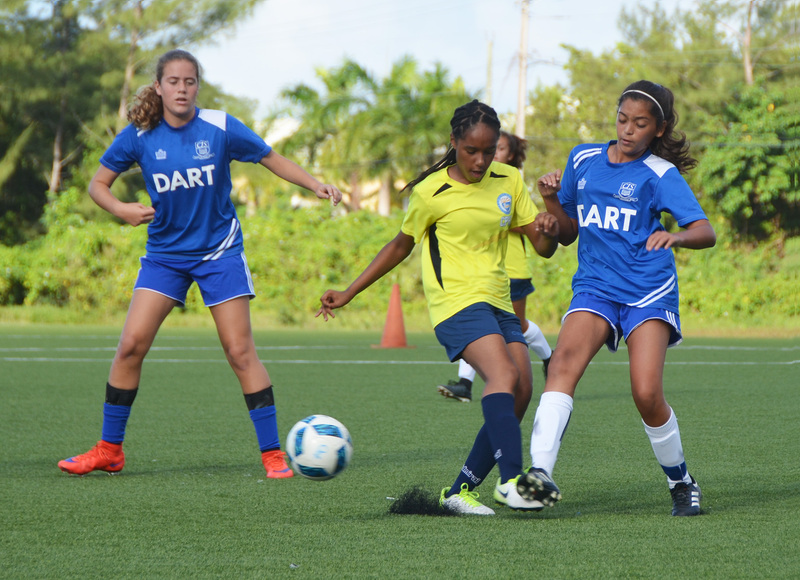 Cayman International School (CIS) Blue and St. Ignatius Catholic High School claimed the 2018 Dart Under 14 Girl’s and Under 13 Boy’s high school football league championships. In a rematch of the 2017 final game, the young ladies from CIS Blue defeated Cayman Prep 3-0 at the CIFA Centre of Excellence to capture their second successive Under 14 girl’s title. Goals from Chloe Bentick-Lalli (2) and Kayla Bradley sealed the win and the championship for the girls in blue. The title had actually been sealed two games earlier as CIS Blue ran out 9-5 winners over Triple C in an exciting goal-fest. During the course of the seven-game season, CIS Blue amassed a maximum of 21 points, going undefeated once again, scoring an astonishing 42 goals in the process and conceding a league-low six goals. CIS Girls have won the first two titles in league history. With the loss, the young ladies from Cayman Prep finished the season as runners-up for a second successive year on 14 points winning four games, drawing two and losing only one. Rounding out the top three was St. Ignatius Catholic on 13 points with four wins, one draw and two losses. 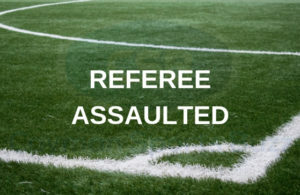 In the Dart Under 13 boy’s league, St. Ignatius Catholic claimed their first high school championship by the narrowest of margins as they slipped by Triple C 2-1 in a game that was replayed following a postponement earlier in the season. With the win, St. Ignatius Catholic edged out runners-up Clifton Hunter High School (CHHS) by a single point, as CHHS secured second place with a 5-0 win over John Gray High School in a replay of a game that was also postponed earlier in the season. St. Ignatius Catholic secured the Dart Under 13 boy’s title undefeated tallying 17 points from five wins and two draws while CHHS finished on 16 points from five wins , one draw and one loss. 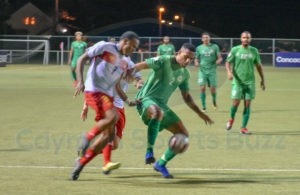 In what could be a first in local football, Cayman Prep & High School claimed third place in the competition after a ‘flip of a coin’ decided the third and fourth places. 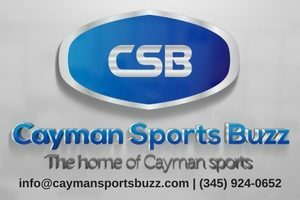 Cayman Prep & High School and Triple C finished the season with identical records in all categories – number of points, games won, drawn and lost as well as goals scored, goals conceded and goal difference. The head-to head clash was a 1-1 draw. According to the rules of the competition, “final league standings will be decided by (1) points; (2) the head-to-head clash; (3) least goals allowed; (4) goal difference determined by subtracting goals conceded (goals against) from goals scored (goals for); (5) goals for; and (6) flipping of a coin”. Organisers of high school football are planning to implement Under 16 high school leagues for boys and girls in 2019 and aim to start Under 18 leagues in the near future. High schools participating in the leagues this year included Clifton Hunter High School (CHHS), John Gray High School (JGHS), St. Ignatius Catholic School, Triple C, Cayman Prep & High School, CIS and Cayman Academy.